Right. I’m hearing an awful lot about 4K, but why should I be excited? The Raspberry Pi is a very cheap computer that's no bigger than a credit card. It's the brainchild of the Raspberry Pi Foundation, a charity devoted to promoting 'back-to-basics' computer science in schools – as opposed to simply teaching the kiddies how to use spreadsheets and design web pages on Windows PCs. What was needed, reckoned the Raspberry Pi gang, was an affordable computer that could encourage children to experiment with programming and electronics – the sort of thing that went on during the home computer boom of the 1980s and gave birth to a generation of entrepreneurs. Pretty much every new bit of home entertainment kit you’ll buy these days is networkable. It’s the way of things. Whether for cloud content access, Catch-up TV and YouTube streaming, online gaming or local network playback from a PC or NAS, cutting-edge products expect to be networked. What makes Kaleidescape's Movie Guide tick? 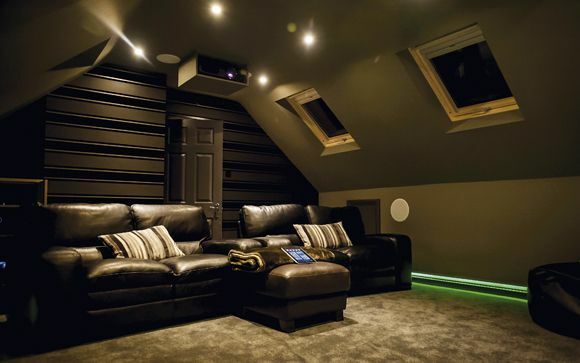 Remarkably, putting together a home cinema system for just £1,000 can be achieved. It won’t represent the cutting-edge in AV, and you’ll struggle if you want 3D, but you can get lossless 5.1 audio, Full HD visuals and more goodies if you spend time shopping around. The wind of change is blowing through the corridors of Sony’s Home Entertainment division. Rocked by earthquake and tsunami, battered by exchange rates and economic meltdown, wounded by inconsistent products, the world’s most iconic consumer electronics brand is going back to basics in an effort to re-energise its ailing TV business.